With a growing number of distribution partners, platforms and territories, MGM was challenged with a complex stream of new reporting and analytics needs. As new distribution channels emerged (including EST, SVOD, OTT, etc. ), MGM’s teams were facing the need to manage high volumes of unstructured data that required manual processing to normalize. 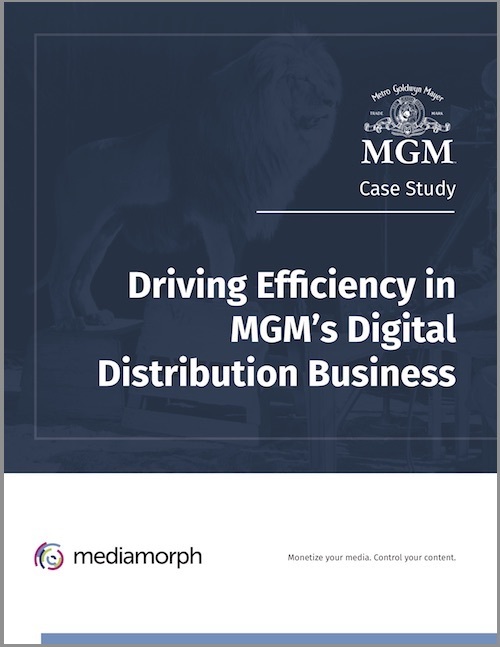 In this case study we will take a closer look at MGM's pain point, the approach Mediamorph took to analyzing the problem and what the outcome has been.